Succeeding with content marketing means keeping up with the latest research, trends and best practices. Here are five content marketing trends that will help you engage more customers in 2017. 2016 certainly had its ups and downs. But the year ended with some good news on the content marketing front: B2B marketers are achieving better results from their content. According to The B2B Content Marketing 2017 Benchmarks, Budgets, and Trends report, 62 percent of B2B marketers say that their approach is more successful than it was just a year ago. Meanwhile, 85 percent of B2B marketers are creating higher quality and more efficient content. But staying on top of your game means being in the know about which tactics will best engage your audience. Now is the time to look at what’s coming down the content marketing pipeline. It’s also an ideal time to examine how your strategies have performed over the past year, along with how you can refine them to achieve better results. According to Bain & Co, a five percent increase in customer retention will boost your profitability by 25 percent to 95 percent. But many B2B marketers use their content to attract new leads, rather than increase the lifetime value of their customers. While generating leads is important, you can also use content to increase customer engagement and boost retention. For example, content can help with your onboarding process, especially if you sell B2B technology that has a learning curve. Educating your customers with video tutorials, blog posts, and emails will help them be more successful. The more successful they are, the more they will rave about how great you are. Curata reported that 42 percent of companies now have an executive position devoted to content marketing. This number is expected to exceed 50 percent by the end of 2017. If you don’t already have a dedicated content champion, consider how adding this role will impact your marketing. How will it improve your content strategy and allow you to get more done? If your internal team is overworked, you can also bring in freelancers to help you create content that engages more customers. Building a relationship between sales and marketing has incredible benefits, such as higher quality leads and more revenue. Providing sales reps with a steady flow of content can help them better educate customers and close more deals. For example, reps can give prospects case studies targeted towards their industries, challenges or goals. Sales reps can also let you know what questions prospects are asking, so you can create content that speaks to their needs. According to the Demand Gen Report 2016 B2B Buyer’s Survey, 69 percent of B2B buyers say the most influential aspect of a company’s website is content that speaks directly to their needs. Placing relevant stories throughout your site can help you engage these customers. For example, you can post customer quotes, video testimonials and case studies throughout your site – instead of burying them in a resources section where your visitors may not find them. Authenticity is also important, especially with Millennials. A greater number of Millennials are becoming decision makers. 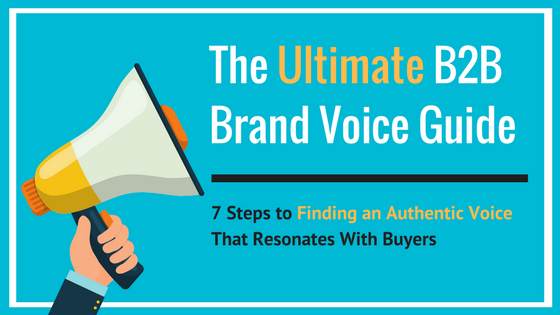 Using an authentic voice can keep them from dismissing your content as disingenuous fluff. Being truthful about your strengths and weaknesses will help you engage more Millennial buyers. One of the top reasons why customers fail to buy is because they stick with the status quo. They may think it’s easier to use their current services than to try something new – even if avoiding change is harmful in the long term. For your content to succeed, you must show customers why maintaining the status quo is a bad move. What are the risks of inaction? Why is partnering with you better than maintaining the status quo? Keep these questions in mind whenever you create a new piece of content. These trends have a similar theme – focusing your content on your customers. While creating customer-focused content is something that we’ve been working on for years, it’s always good to add some new best practices to your marketing mix. Are you ready to make your 2017 content a smashing success? Download Your 2017 B2B Content Planning Guide: The 5 Questions You Need to Ask to Make Your Content Successful This Year and Beyond.